How much is that (Land Rover) doggy pack in the window? 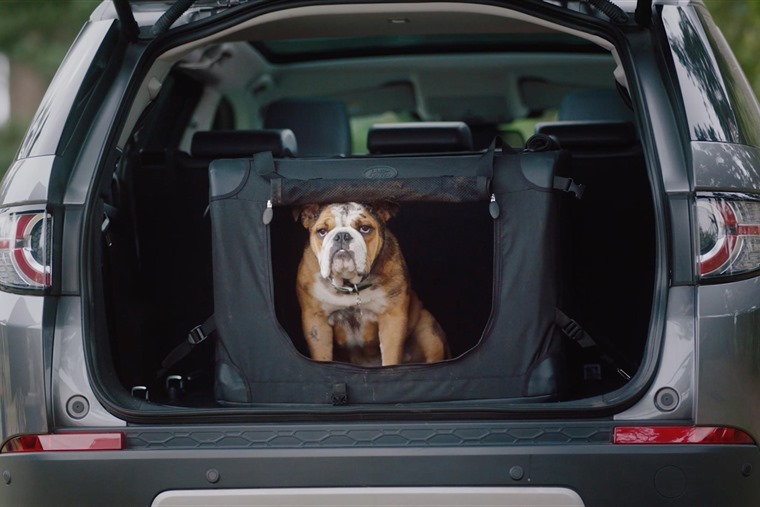 With around half of its owners being dog owners, Land Rover has launched a range of premium Pet Packs to help their four-legged friends travel in the lap of luxury. 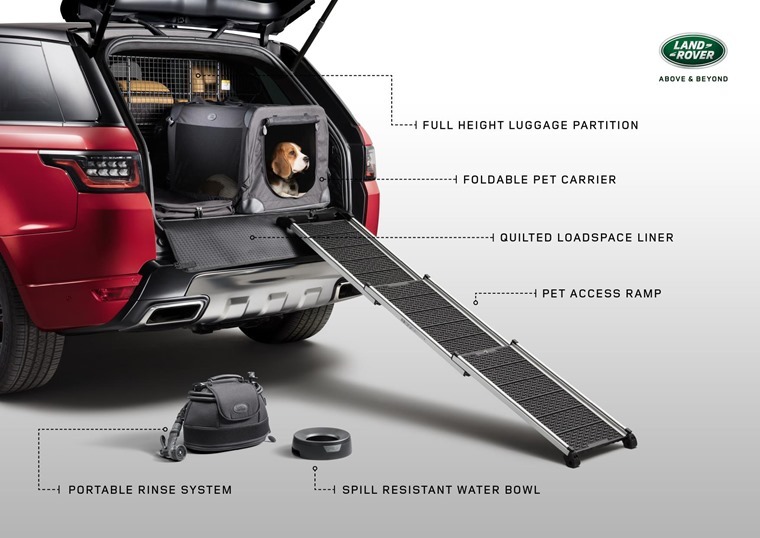 Available for the Discovery Sport, Discovery, Range Rover Evoque, Range Rover Velar, Range Rover Sport and Range Rover, the range has been released to coincide with this Sunday’s International Dog Appreciation Day. Each Pet Pack includes a selection of specially chosen accessories to suit a range of requirements including a premium quilted load space liner to protect against paw prints, a foldable pet carrier, access ramp, spill-resistant water bowl and a portable rinse system for those muddy walks. Accessories will be available to purchase as part of the Pet Packs above or individually dependant on customer choice. Finbar McFall, product marketing director, said: “Our customers told us that the comfort of their dogs on car journeys is crucial. They are part of the family and we recognise that.